The first couple of months of the year have been intense in terms of product development. We've not only made a lot of under the hood improvements, but also we've introduce some major changes in the way users share feedback. In order to address this second point, we've applied a simple form that comes from Non-Violent Communication protocols, aso known as "Feedback Wrap". With the conversations feature managers and HR can open a private conversation with an employee that have sent a "something is wrong" message. Although this is a 1 to 1 conversation, we keep identity of the employee completely anonymous. This feature opens the possibility of asking the employees for more details and information about the topics they are sharing as things to improve or that need an explanation. All this features are available to our clients upon request. 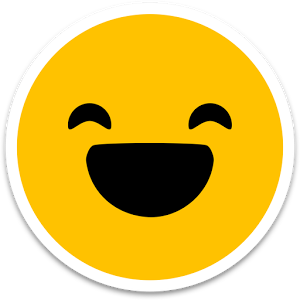 If you are reading this, probably you have noticed a brand new a nice email from Happyfoce. This mail is a resume of what has been going on on your company in terms of participation, managers engagement, satisfaction and of what are talking your employees on the received feedback. This report is sent on monthly basis, and we are preparing new ones per week, based on alerts, etc. Please, feel free to contact us to improve this report with your needs. 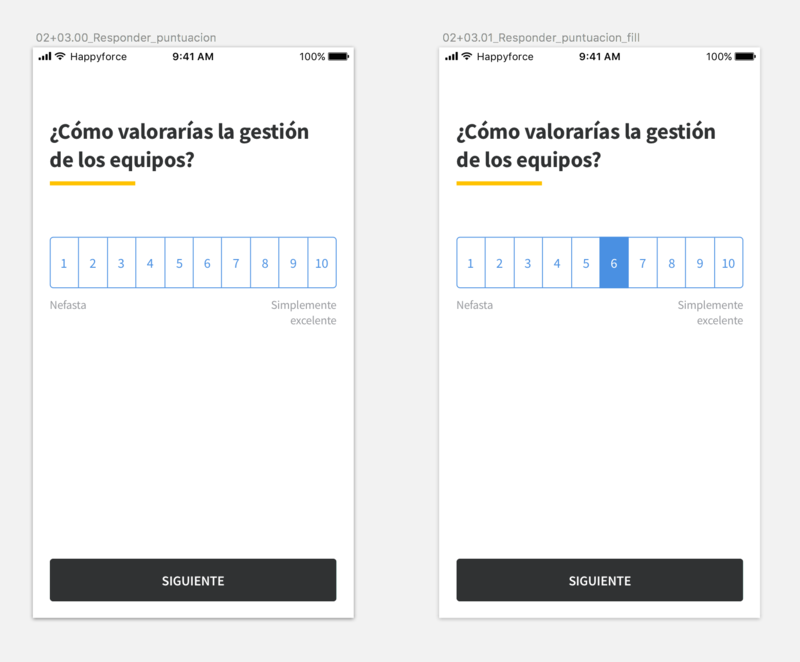 We have been working on a new question type: scale questions. Scale questions allow you to define a question were your employees will be able to select a value between 1 and a maximum of 2. The result of the question, will be computed as the average of the values selected by your employees. 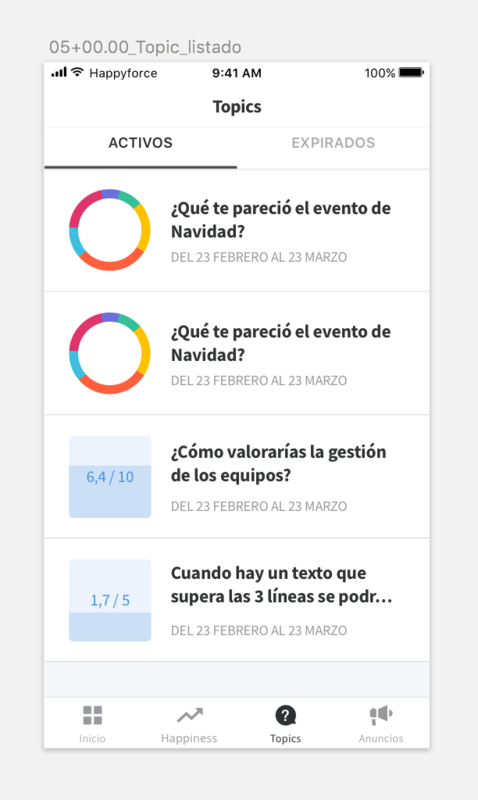 In the next weeks we will also launch a new version of the app, that will allow your employees to see these kind of questions with a proper format. Also, we are working on the changes needed on the dashboard that will allow you to track the evolution of these questions along time. 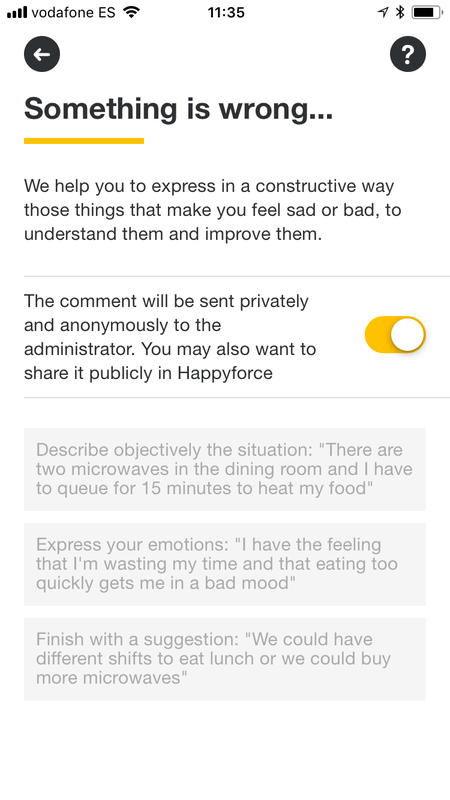 First, a little introduction of how tags are calculated: tags, are extracted from the text the employees provided on their comments, so if we have two comments, one containing the word "happily", and the other containing the word "happiness", there will be a tag with the word "happy". Until now, we were displaying these tags sorted by the number of comments related to it. However, we have changed this, to be sorted by the number of comments + the number of interactions received (agree & disagree). This provides a better overview of what matters to your employees now. that shows which is the average vote related to each detected tag. With this, you will be able to see where are the hot topics at a certain moment and where you have to put focus to solve or to celebrate with your employees. After a couple of weeks, today we are releasing a brand new Announcements screen on your dashboard. Search announcements by its content. Filter your announcements by status (future, active or old). This week we have rolled out a new amazing feature that will allow exploring new feedback modes: now your employees can reply comments from your peers! Of course, this feature is optional, and can be activated on request; so Happyforce will work like always until you want to give it a try to this new mode. You can only reply once to a comment thread. One shot. Depending on the mode configured, you can comment OR reply once a day, or comment AND reply once a day. 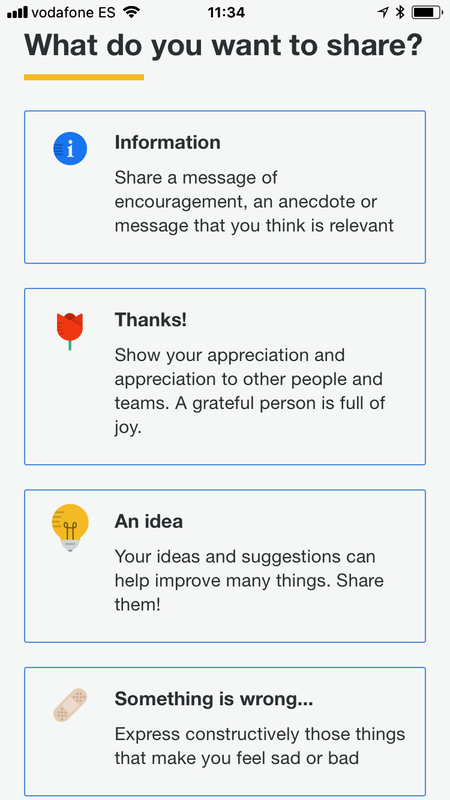 We expect this new feature opens new amazing ways of how you employees leave useful feedback to you, among allowing them to "group" the topics under the same context.